Roberto Cavalli often says that year after year he loves his wife even more than before. 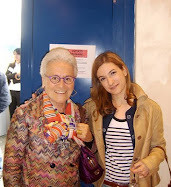 It is not surprising since his wife is Eva Düringer, a very beautiful and smart woman. She used to win various beauty contests, including Miss Australia 1977, Miss Universe 1977, and she was a semifinalist in Miss World 1977 and Miss Europe 1978 contests. 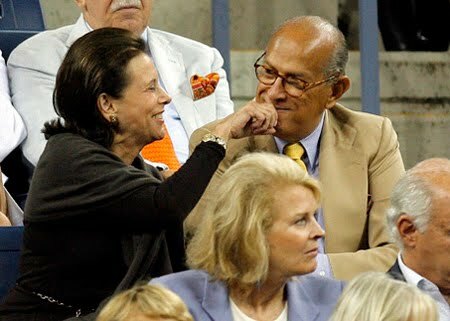 Besides, Eva has been a long-term business partner of her husband. Despite the fact last year the couple had a crisis in relationship and Roberto was frequently seen in company of young models the marriage of over 30 years is still strong. Valentino and Giancarlo met in 1960 and immediately became friends. The two fell in love but for some reason they couldn’t be together. Then Valentino married but soon divorced. People say it was his love to Giancarlo that ruined the marriage. 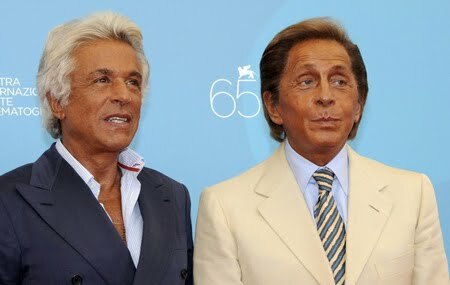 However, Valentino and Giancarlo have been inseparable since then, both as life and business partners. Donna Karan was married twice. Her first husband, Mark Karan owned a chain of clothing shops. After 8 years of marriage the couple divorced in 1978. Five years later Donna married Stephen Weiss, an accomplished sculptor and painter, and the man of her life. They lived happily for 28 years. But in 2001 Stephen died of lung cancer. Giorgio Armani’s life has always been a secret for outsiders. When he is asked about it he often jokes Roberta Armani is his only woman, but Roberta is his niece, who works with VIP clients in Armani company. However, Giorgio surprised everyone when he admitted he was a bisexual and was attracted by both men and women. 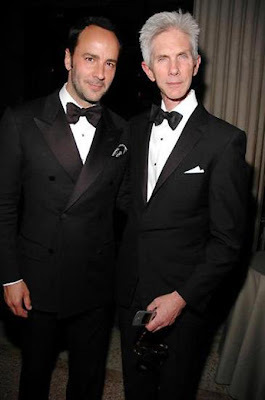 Tom Ford is openly gay. He has a partner Richard Buckley who he has lived with for over 23 years. The couple is very happy together. Paul Beck used to work as a model with Gianni Versace who introduced the young man to Donatella. Since then on Donatella and Paul have been together (over 20 years). They have two children. The daughter, Allegra, is to inherit the world-famous brand. 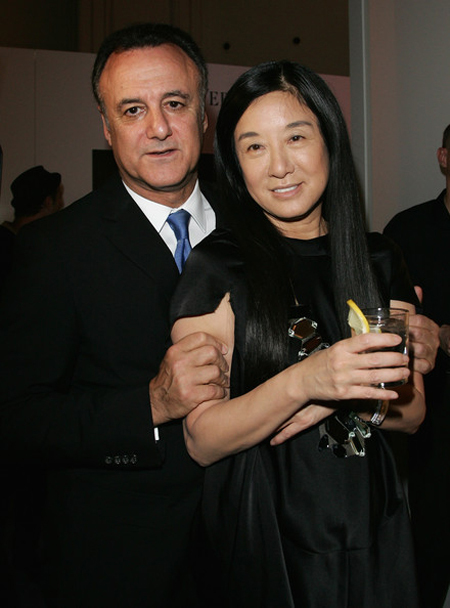 Louis Benesch has been Christian Louboutin’s business partner as well as a life partner for a long time. However, no details have ever been revealed about their personal life. Alasdhair Williams is a British editor, The Royal British Legion member. Stella has been married to him for 7 years and has three children. Vivienne Westwood’s life has been very eventful. Her first marriage with Derek Westwood lasted only three years but they had three children. Then the designer married Malcolm McLaren but they divorced soon. And now her husband is Austrian designer Andreas Kronthaler, who is much younger than her. Alexis Roche is a stylist and artist, and John Galliano’s partner. The couple has been together for over 5 years already but very little is known about their relationship. Jean Paul Gaultier has had one big love in his life – Francis Menuge. The two had spent 15 years together until Francis died of AIDS-related causes. Francis was that very person who convinced Jean Paul to found his own brand. 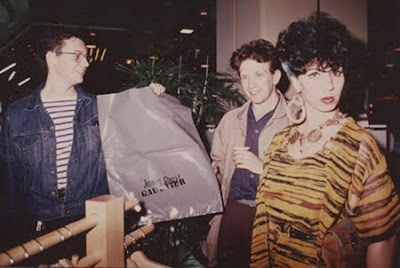 After his lover’s death Gaultier said he wanted to quit fashion or work for a different brand instead of developing his own. But then he realized that Francis would be glad if he continued building his empire. So he did. Oscar de la Renta has been married twice. His first wife, Françoise de Langlade, was an editor-in-chief of French Vogue. She never took an active part in her husband’s business but attracted rich and famous people to his shows. In 1983 she died. Oscar de la Renta married again in 1989 to Annette Reed, a famous American publisher. Marc Jacobs is openly gay and his relationship with Lorenzo Martone, a Brazilian advertising executive, was discussed widely. The couple got engaged in 2008 after a year of dating. In 2009 they got married but in spring 2010 they broke up. Diane Von Furstenberg was 18 when she met her first husband Prince Egon of Fürstenberg, the elder son of a German prince. They married in 1969 and had two children. Diane became Princess Diane of Fürstenberg but after the divorce in 2001 she can no longer use the title. 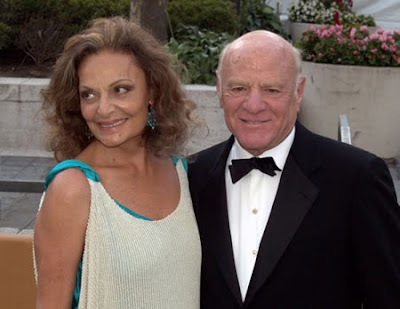 The same year the designer re-married to American media mogul Barry Diller. 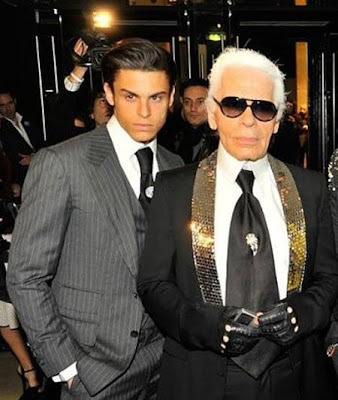 It is a common fact that Karl Lagerfeld’s lover died 15 years ago. Since then the designer hasn’t had any serious relationship. According to rumors now Lagerfeld has an affair with a 21-year-old model Jean-Baptiste Giabiconi who often accompanies him at social events. However, the designer neither confirms or denies the fact. He says his age doesn’t allow him to put his personal life on the display. 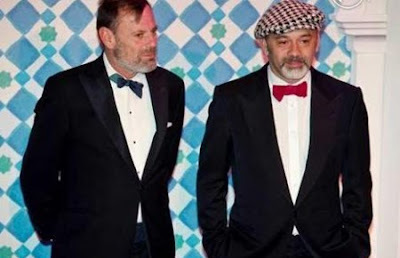 Domenico Dolce and Stefano Gabbana decided to start a brand in 1985. But only in 2005 they officially confirmed their relationship outside business. However, in 2005 they broke up as a couple but continued to work together. The reason for separation was Stefano’s unfaithfulness. Now the designers are good friends that spend a lot of time together. Stefano has an official relationship with Dj Serj. Wedding dress by Vera Wang is a dream of every girl but what do we know about the designer? Not much. She has been married to Arthur Becker for 27 years. They have two daughters. Michael Kors has never liked when people spoke about his personal life. 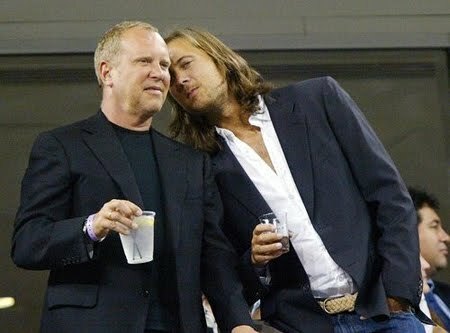 All we know is that he is a gay and has a long-term partner Lance Le Pere, who is a businessman. The couple live together in Manhattan. 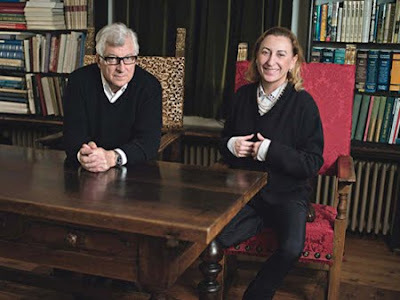 Miuccia Prada has been happily married to Patrizio Bertelli for 30 years. Patrizio is now Prada’s general director.